LUNCHTIME is no tall order for the staff at Darling Downs Zoo and now visitors can lend a hand as well. 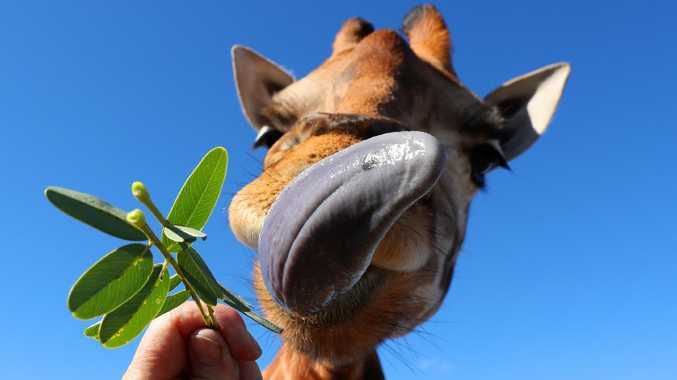 Giraffe feeding has become a popular attraction for guests at the zoo, south of Toowoomba, after it was introduced just two weeks ago. Co-director Stephanie Robinson said the idea was brought forward than it's initial opening due to the demand. "So many people just wanted to feed the giraffes," she said. "We were planning to have a special feeding station in the future but this has just taken off." 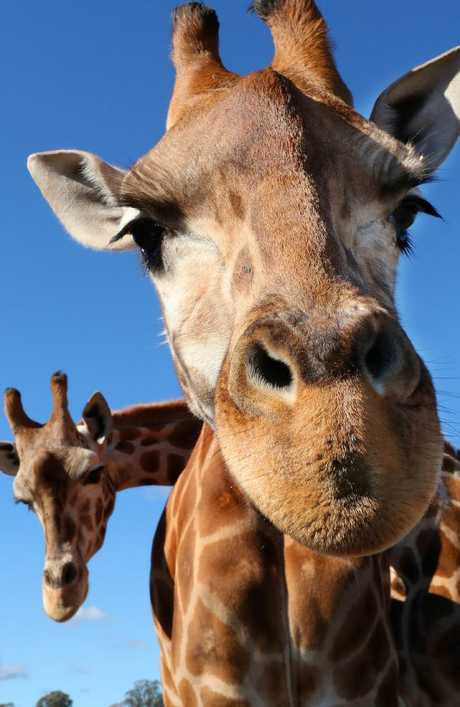 Visitors will be able to get up close to the three- and four-metre tall giraffes, Tulip, Lilly and Amhale, and feed them straight from the palm of their hand. "It's quite an experience," Ms Robinson said. "You really get an impression of how tall they actually are when you're standing at their feet and feeding them." Bookings can be made to feed the giraffes by calling the zoo.